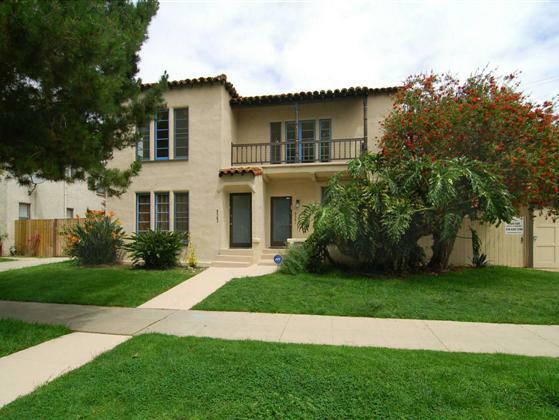 This 1930’s Mediterranean Style Duplex is not to be missed! Features include very spacious floor plans with natural light shining through every room, original hardwood floors, vintage tiles in both bathrooms and kitchens and authentic hardware on all doors and windows. Each unit has a laundry room, plenty of storage and a charming breakfast area in addition to the dining room. There is a three car detached garage and additional off street parking. Options abound in two charming garden/patio areas in the rear of the building. The electrical has been upgraded in each unit. Beverlywood adjacent and ideally located minutes from Century City, The Grove, UCLA, USC, Cedars. Beautifully maintained and ready to move in. Downstairs unit is currently leased. All photos are of upstairs unit only.